Did you celebrate? Did you party until the wee hours or, like me, enjoy a quiet night in? Sally and I aren’t party people. Most of the time we enjoy each other’s company and the peace and quiet on the boat. On Tuesday afternoon we paid a quick visit to Sally’s favourite Thai grocery shop in Banbury, and an even quicker visit to the ridiculously busy Tesco store just to the north of the town, before heading back for the sanity and tranquility of the marina. We defrosted 1kg of tiger prawns (each the size of a well built Shetland pony so only twelve to the kilo) and quickly stir fried them with garlic, chilli, ginger and coconut milk. Served with rice and washed down with a couple of bottles of Thai beer and a bottle of bubbly, it was an easy but ever so tasty meal to celebrate the end of the old year and the beginning of the new. So here I am on New Year’s day, thinking about the twelve months ahead as I listen to the sounds around me. It’s raining of course, and very windy too. On days like this in the past I’ve been used to an icy draught streaming in to the boat through the port side doors and hatch. Not today though. The hatch and doors are now completely draught free. I’ve talked before about the draughts we suffer from the poorly fitted front, rear and side doors and hatches. The draughts make a huge difference to the temperature inside the boat. Last year Sally effectively cured the draughts by stuffing foam offcuts into the gaps and securing them with duct tape. It wasn’t a bad solution, but involved much messing about if we wanted to open the side doors. Last winter we didn’t need to open them until the warmer weather in the spring. This year Sally’s been using the port side doors regularly each week. Earlier in the year we bought a twin tub washing machine. One of the advantages of the twin tub is that it doesn’t need to be plumbed in. The fact that it’s free standing is also a disadvantage when it comes to draining the machine. We either have to drain it into a bucket and then tip the bucket into the sink or, our preferred method, open one of the side doors enough to poke the drain hose out of the boat and pump the water straight out into the marina. It’s a bit of a nuisance trying to do this if the door is taped up so we looked for another solution to the door draughts. We had a new cratch cover fitted in November 2011 soon after the boat cabin was over plated with steel. The cover cost me £450 which was less than half the price quoted by some of the better known canopy manufacturers. I’m generally very happy with it. During heavy rain we get a little water coming through the zip as the zip is open to the elements rather than covered as it is in most of the more expensive canopies but, apart from that, it’s served us well. We asked Karl, the guy who fitted the cratch cover, to quote us for covers for both side doors and hatches and for the rear doors and hatch. He offered to make and fit the lost for a very reasonable £120. He fitted them just before Christmas. The fitting took him less than an hour. I don’t know how he did it as I had to help with the emergency repairs to the wind blown wharf paint tent. The starboard and rear of the boat were pretty straight forward as Karl could work from the pier for the starboard side and from the rear deck for the rear hatches. However, how he managed to fit the port side cover is a mystery to me. The port side hatches are on the water side. To my knowledge, Karl can’t walk on water but as he couldn’t have walked along the gunnels because of their narrowness after the extra steel was added to the cabin, I’m not completely ruling that out. Karl may be part bat and have fitted the covers by hanging upside down from the roof. Whatever he did, he fitted all the covers in less than an hour and fitted them very well. The difference on the boat has been remarkable, especially on a day like today. Fat rain drops are rattling against the cover over the doors and the boat is shuddering under the impact of the gusting wind. The air temperature is a relatively mild seven degrees but the wind chill is minus two. I don’t care though because none of that icy wind is making its way into the boat via the side hatch. We’re another step closer to having the boat completely up to scratch. Talking of improving the boat I’ve been spending some time over the last week writing down what we want to accomplish in 2014. I’ve always found that having a specific written goal helps me get where I want to be. James is a very different boat from the neglected craft I moved on to in April 2010. I can honestly say that the boat is now a very comfortable floating home and one which I’m proud to own. We’re nearly there with the refurbishment, but there’s still a bit to do. The first and most important of the improvements planned for this year is the installation of the new central heating system. We’ve already booked that in for the first week in February when we are on holiday. The work is going to take three or fours days and will cause a fair amount of disruption throughout the boat. The disruption is always a major consideration when you live on board your boat. When you live in a house and have some work done, you can just move to another part of the house when the workmen are in. You can’t in a narrowboat. There’s nowhere to move to. The installation will involve removing the three knackered old radiators currently attached to the stove’s back boiler, filling the back boiler with sand, removing all the old pipes, removing the existing gas fired water heater, removing a gas fire, fitting a large radiator for the front half of the boat, another smaller one in the office area to keep my toes toasty when I’m sitting immobile for hours on end while I slave away over a hot keyboard, as big a towel rail as we can manage in the bathroom, another radiator in the bedroom and a further towel rail in the engine room. The engine room will also be home to the heart of the new heating system, the Webasto Thermo Top C. Once the burner unit is fitted, new pipes need to be run to all of the radiators and to the new calorifier which will be installed under our bed. Installing the calorifier will mean taking the mattress off and then trying to find somewhere to put it. Narrowboats definitely don’t have space enough to store a mattress anywhere else than on the bed base. The logistics of having work done and what to do with yourself if you’re a liveaboard is certainly something you need to think about. When I had the cabin over plated, James was shipped away to be worked on for ten days. I was very lucky at the time to be working at Calcutt Boats and at a time of the year when the hire fleet was out of commission. I was allowed to live on one of the boats while James was away and while the remedial work was done before the boat was fit to live on once it was returned. Fit a folding shower door to replace the flimsy curtain we use at the moment. You can’t really relax when you’re using a curtain rather than a far more substantial glass or plastic panel. You’re especially nervous when showering if, like me, in the past you’ve had the particularly unpleasant surprise of stepping out of shower after a refreshing scrub into a rather deep pool of water which has already made itself very comfortable deep in the pile of the bedroom carpet. Shower curtains can very easily slip outside the shower tray as you thrash about trying to avoid jets of scalding water from a very temperamental gas burner. Reupholster the soft furnishings in the front of the boat. We have L shaped seating in front of the stove with foam upholstered seats and backs. Aft of this seating is the Pullman’s dinette with four more upholstered seats and backs.One of the few complaints I had about the steel over plating workmanship was that, at some stage in the process, the covers the company placed over the empty window frames to protect the inside of the boat slipped off as they welded next to the dinette. Consequently there are a few pin prick burns in the seating. The burns aren’t too bad and if they were the only problem with the upholstery I wouldn’t be bothered. More of a problem is my own stupidity or laziness or a combination of the two. I have a habit if sitting down to eat as soon as I return from work in the evening. I’m normally very tired so I just want to eat and rest for a while before I do anything else. It’s been a big mistake. Boating generally isn’t the cleanest of pastimes and working on the grounds at a marina can be particularly mucky. Consequently, whether it’s been as a result of a normal working day, or collecting dirt from the outside of the boat, lock walls or balance beams when we’ve been out cruising, I’ve made a bit of a mess of the upholstery where I normally sit. The third problem is that the material that was used in the first place wasn’t very good. In fact, we’ve been told that it’s curtain material rather than fabric suitable for seating. It’s has a velvety feel and is pale green. The colour shows the dirt and the fabric has sagged and stretched. Fit a permanent drain for the twin tub washing machine. Earlier I talked about the new covers we’ve had fitted for the side doors and hatches. They’re very effective but they also create a bit of a problem. Sally likes to drain the twin tub by opening the side hatch and poking the drain hose through. She can’t do that if the cover is in place. So, when she has one of her marathon clothes washing sessions (I think it’s every alternate day) I have to take the port side cover off so she can open the door.Taking the cover off might not sound like a big deal but it’s not the easiest job in the world. Sally asked me to take the cover off yesterday. I forgot to do it in the morning when she first asked so I ended up tackling the job in the dark last night. Of course it was raining and of course the rain was being driven horizontally by a howling gale.The boat’s port side is next to the water so to take the cover off I have to climb onto the roof and then lower myself down very carefully onto the starboard side gunnel, a gunnel which is now only two inches wide because of the extra steel we’ve had added to the cabin. It’s bad enough on a calm summer’s day but on a dark winter’s night with an icy rain numbing my fingers so I struggle to grip a wet, highly polished 25mm rolled box section roof rail as I crouch down to free the gunnel level studs just inches from the rain lashed water, it’s a very interesting couple of minutes indeed.With the cover off, Sally could open the side hatch to drain the washing machine. Unfortunately the post side is the weather side so opening the side hatch for even a minute instantly fills the boat with cold air. A permanent drain would mean that the side hatch covers could stay in place, Sally could wash away to her heart’s content without me having to resort to night time aerobatics and we could retain the warm air in the boat we work so hard at maintaining. Update Sunday 5th Jan: After writing about this last improvement I realised that I had probably spent longer recording my thoughts than it would take to do the job myself… if I could get hold of the right tools. So I went on bended knee to fitter Russ. He calls himself Tools-R-Russ. He has every tool known to man, and a few extra ones too. Staff often borrow weird and wonderful things from him. I borrowed a heavy duty drill from him with a nifty fitting for cutting a 22mm hole (I think) in steel and a threaded brass spigot to fit in it. Russ’s parting comment bothered me a little, “Just make sure you drill the hole above the water line!”. He knows me too well. Twenty minutes energetic drilling in my lunch break and the job was done. It may not sound much to all you macho tool wielding men (and women), but I was quite proud of myself. All I need to do now is work out how to stop the water pouring through the hole from the marina! Actually, I can’t think of any more major jobs to do. We’re nearly there. Yippee! We haven’t just been thinking about the improvements we want to make to James. We’ve also been making plans for actually using the boat to get out and about on the network as much as we can while we are still able. Sally and I had a marvelous two week break at the beginning of June last year and plenty of overnight stops at various beautiful spots on the stretch of Grand Union/Oxford canal between Napton and Braunston junctions. Much as I enjoy being moored in a beautiful spot at Calcutt, it’s not where either of us want to be long term. However, as far as this year is concerned, our trip to the Philippines in February will use a big chunk of our savings and Sally’s holiday entitlement. I’m self employed so I don’t have to worry about whether I will be able to have the time off work, just whether I will be able to afford to do it. We both realise how important it is to plan for the future but we also realise how often people are forced to change or abandon long term plans and goals because of circumstances outside of their control. Overall health plays a huge part in boating plans. Boating is an active and healthy pursuit. There are paddles to raise and lower, 400kg gates to open and close, more miles of towpath walking than anyone could wish for and twenty tonne steel boats to drag, push and pull as you negotiate your route. It’s fantastic exercise and a wonderful way to keep fit. Unfortunately, because of poor health, far too many would be boaters with a lifetime of dreams and plans behind them fall before the final hurdle. I’ve seen it no end of times over the last almost four years I’ve been living and working at Calcutt Boats. The majority of narrowboat owners are no longer spring chickens. 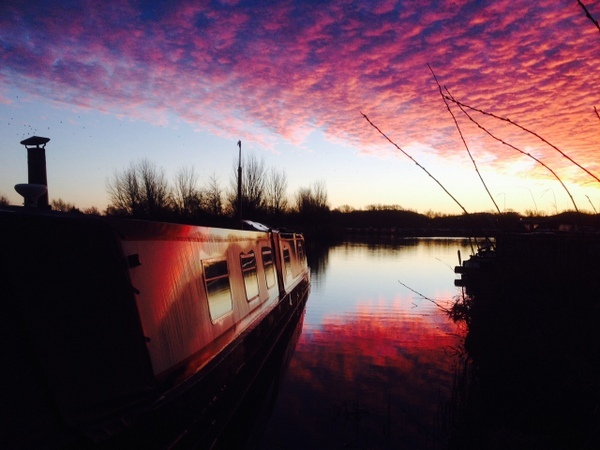 Most people who buy a narrowboat buy one not as a home, but as a very expensive hobby. It’s a hobby that the younger generation, saddled with the cost of paying for a home while they raise a family, simply can’t afford. Many boat owners would love to take their boats out more, but they simply don’t have the time. They’re in the same position as many others who have expensive hobbies. They can’t spend the time they want enjoying the result of all their hard work because they need to carry on working hard to pay for their hobby. They’re all waiting for that dream date in the future when they can stop the daily grind and start to live. Unfortunately life often gets in the way of their plans. All too often I hear, “We’re going to have to sell the boat. Bill just can’t manage it any more,” or “We planned to cruise all of the network before we learned about Jean’s illness.” Most of these bitterly disappointed boaters had endured years of unremitting toil, often in jobs they didn’t particularly enjoy, working towards a lifetime’s goal of a world of leisure and exploration on board their own floating homes. Last week I sent out an email to a large group on my newsletter list which my software had recorded as not having opened the previous half dozen weekly newsletters. The software seemed to have tagged quite a few incorrectly. I don’t know why. However, far more of the emails I sent out where to subscribers who for one reason or another genuinely hadn’t read them. For some, the reason was that they simply didn’t have enough free time because of work commitments but an alarming number emailed me though to tell me that the reason either they or their other half hadn’t opened the email was because of illness, often both long term and acute. Neither Sally nor I earn very much. We’re not complaining. There isn’t much stress in our lives, but there isn’t much money either. And because I’m self employed, if I don’t work, I don’t earn. Because of that, it’s tempting to think of time not working more of a lost opportunity to earn rather than a gained opportunity to relax. We don’t earn much money, but we are both still blessed with very good health. More and more these days, we’re trying to achieve the right balance. The focus now is more on deciding we’re going to have some time off and then working out how we’re going to afford it rather than doing as I’ve done for most of my working life and just taking the time off that I can prise myself away from work. So one of the most important conversations we had during the first few days of the year was to establish when we we are going to take the boat out. The fact that we’re going to see Sally’s family in the Philippines next month plays a large part in our plans. Once upon a time I would have considered this break as the maximum time I could reasonably take off work for the year but with our new motto of “More leisure time, less work” we’ve decided to take James out in the summer too. We are going out for the first two weeks in June. We’re going down the south Oxford and onto the Thames. I love the route but the last time I went that way I was in a bit of a rush. I took Calcutt Boats’ show boat down to Beale Park for the IWA show in 2010. I had been working for Calcutt Boats for nine months and living on board James for about two. 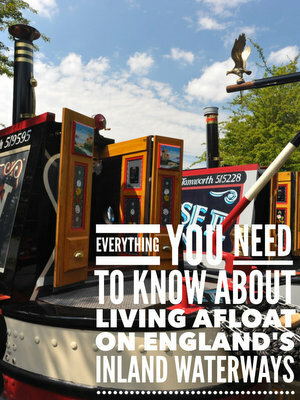 I didn’t know much about handling narrowboats. God knows why they let me take their brand new boat to the show. It was a marvelous but hectic trip. I took my twelve year old son, Brook, to help me with the locks and lift and swing bridges. Unfortunately he was too light for one and too weak for the other, but he was very good at keeping me supplied with regular mugs of coffee. We completed the eighty mile, fifty two lock journey in three days but we were traveling for an average of thirteen hours a day. The scenery was beautiful, the weather mostly good and the experience memorable, but we didn’t have time to enjoy it. This time will be different. We’ll spend a week cruising each direction and we’ll stop where and when our fancy takes us. I can’t wait. To tell you the truth, I’m looking forward to the cruise far more than the imminent trip to the Philippines. The two week cruise will cost us a twentieth of the amount we’ll spend on the trip abroad. Two weeks cruising on the boat isn’t enough. We’re going to take another week out on the boat at the end of the summer too. We’ve penciled in a date but we’re not sure where we’ll go yet. Without the trip abroad we could afford to cruise for far longer this year. Don’t get me wrong, I’m thoroughly looking forward to some time away from the dreary winter weather and the opportunity to see Sally’s family but the money we’ll spend on air fares would buy us a lot of diesel for the boat. So we have our year planned, both for improvements to the boat and the trips we’re going to make. The cost of the trip to the Philippines and the two breaks on James and the fact that I won’t be earning while we’re away will stretch us financially but it’s the right way to go. We’re fit and healthy so now is the time to make the most of the boat. We have our year planned. Do you? If you’re thinking of making a move to a life afloat, how far have you got? Is it just a halfhearted idea at the back of your mind or a fully fledged commitment to change your life for the better? It’s not too late to make New Year resolutions you know. In don’t know about you, but these days times passes alarmingly quickly for me. Before you know it, the summer will be behind you and the year will be drawing to a close. Where will you be then? Will you have concrete plans in place to help you buy or use your boat or will you just be doing the same old things you were doing at the beginning of the year? I’ll give you a hand. Here are some resources to point you in the right direction. If you don’t have a boat already. Here’s a great place to start window shopping. It’s the world’s largest narrowboat site. There are over 1,000 narrowboats for sale at any one time. If you’re wondering where you can take a narrowboat, what routes you can take and how many locks you’ll pass through, Canal Plan will tell you this and lots more interesting information. Of course, before you look for a boat in earnest you’ll need to know how much both the boat and the lifestyle is going to cost you. The simplest way of finding out all the costs and creating your own financial projection is by using the package I’ve put together for those new to boating, Narrowbudget Gold. You can read about it here. Once you’ve established you can afford to buy and maintain a boat and you’ve seen a few you like the look of on the Apolloduck site, you’ll want to see a few boats in the flesh. Whilton marina has one of the largest stocks of boats for sale in the country. Just turn up at the marina, tell the staff which boat you’re interested in and they’ll give you the keys so you can wander through it at your leisure. Before you start to look at boats seriously, you’ll need to know what to look for. Here’s a check list for you. And finally, if you can’t find the answer to any questions you have about buying, maintaining or living on a narrowboat, there’s a forum full of very helpful boaters just waiting to answer your posts. All you have to do is ask! There you go, everything you need to know to help you with your plans. Happy New Year! (And if you want even more encouragement, here’s a photo Sally took with her camera phone this morning while I was writing the newsletter. Beautiful, isn’t it?